Andheri – one of the top business districts of Mumbai is particularly eagle-eyed by professionals primarily for its centralized location and rising corporate competition. 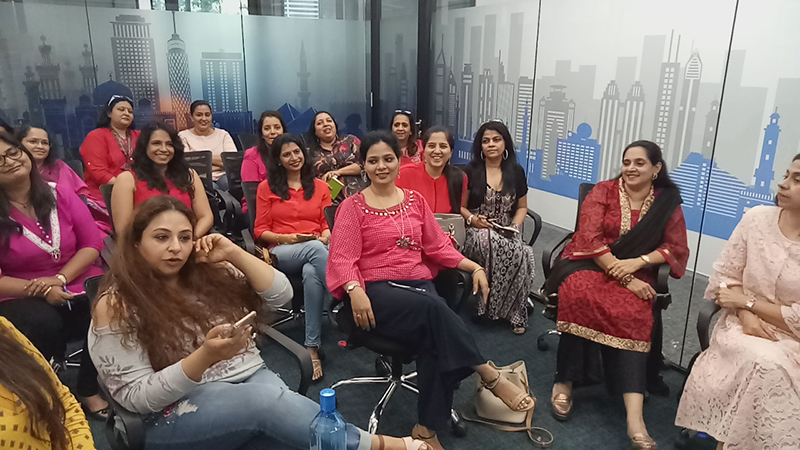 On observing this steep escalation in demand for workspace in Andheri, DBS Business Center Management acquired the ground floor of Kanakia Wall Street Building in Andheri East. 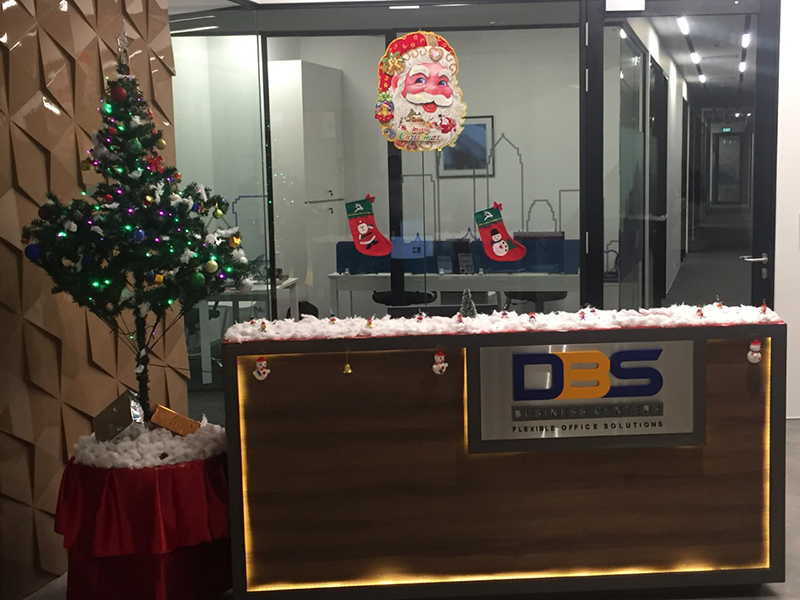 The DBS Andheri office is located very close to the Western Express Highway and is just 3 kms away from the Chhatrapati Shivaji Airport. When it comes to deciding on a workspace, the location matters. DBS Business Center, Andheri meets the need as it is in close proximity to leading metro stations of the city. This makes commuting to and fro from this office very easy for our clients and their teams. 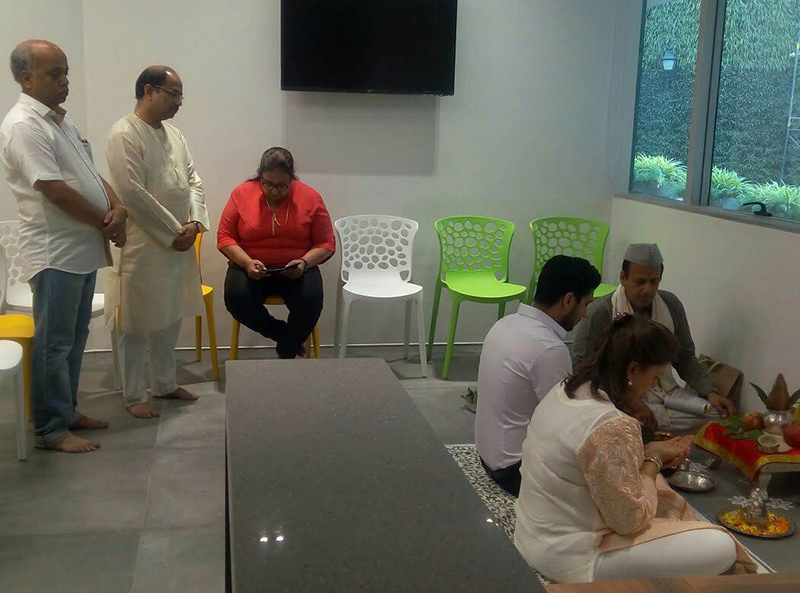 These bespoke amenities over the year got DBS Business Center, Andheri an array of clients from diverse industries including freelancers, consultants, startups, beverage company, investment advisory firm, stock brokerage agency and so on. Since the very first day, this office has been full of colourful events. 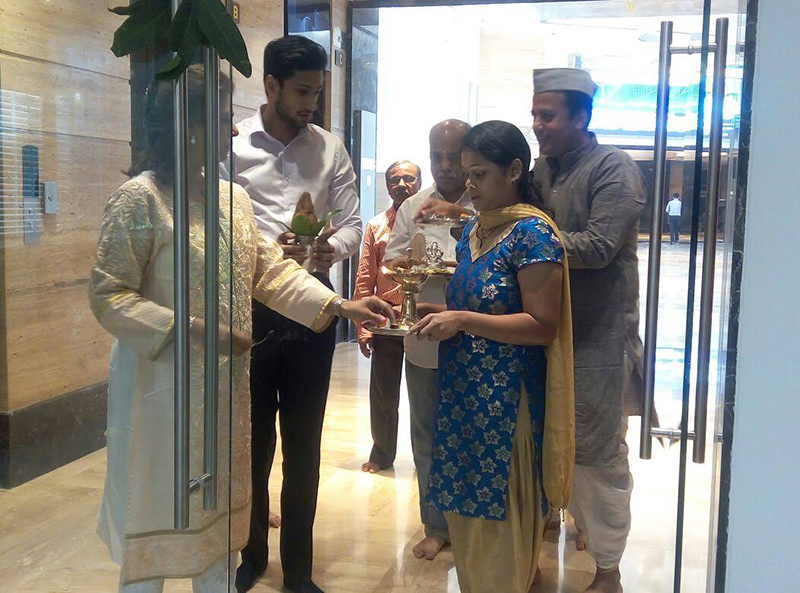 It started with a Puja ceremony conducted by our chief pandit to ensure peace, prosperity, and safety in the Andheri office premise. This was attended by our respected directors Aditya Bhandari and Vanita Bhandari respectively. 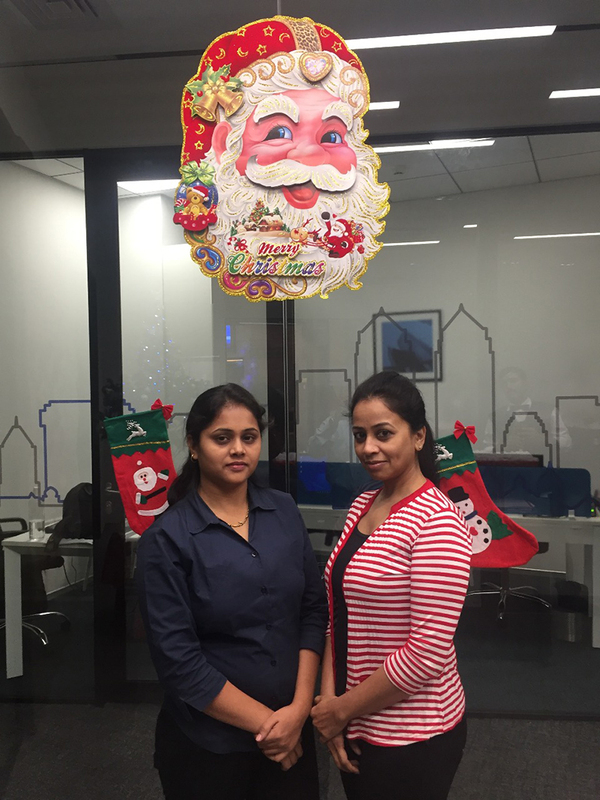 The first official celebration in DBS Business Center, Andheri was Christmas, last year. 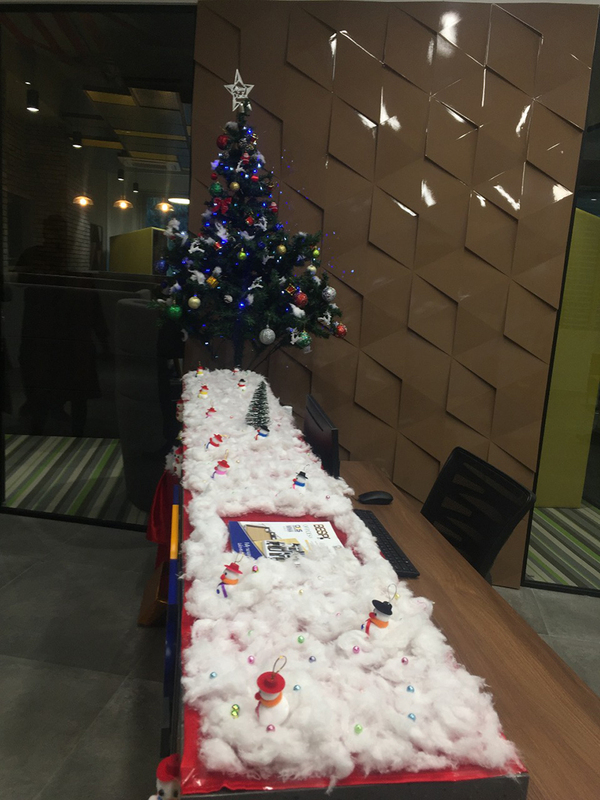 The entire office premise was decorated with Christmas goodies like mini Santa figurines, Christmas tree, snowballs and was looking very bright and vibrant. There was a snacks distribution for all present in the office that day. 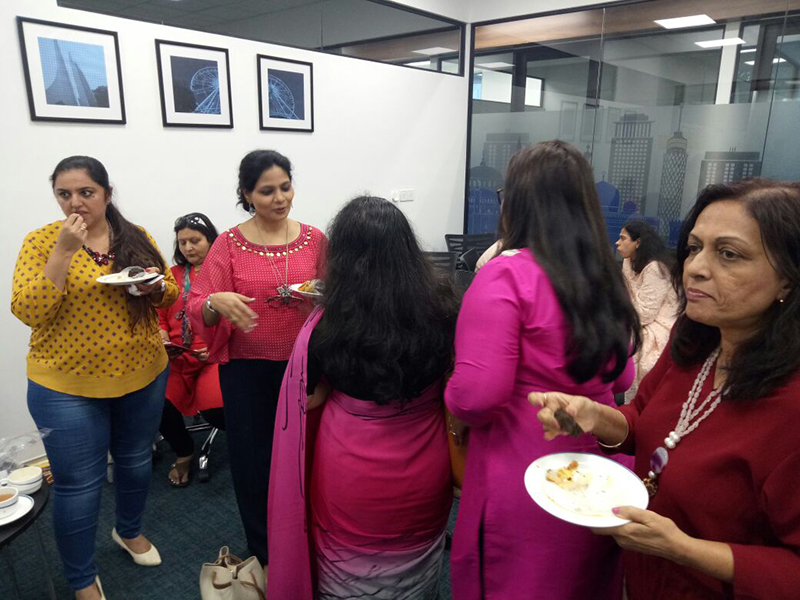 Around 20 entrepreneur women got together to share their entrepreneurial journey with each other. We applauded at their success and learned from their hardships. Later this ended in a High Tea meet in the office premises only. Look at the pictures and how comfortable and confident each of them looks. 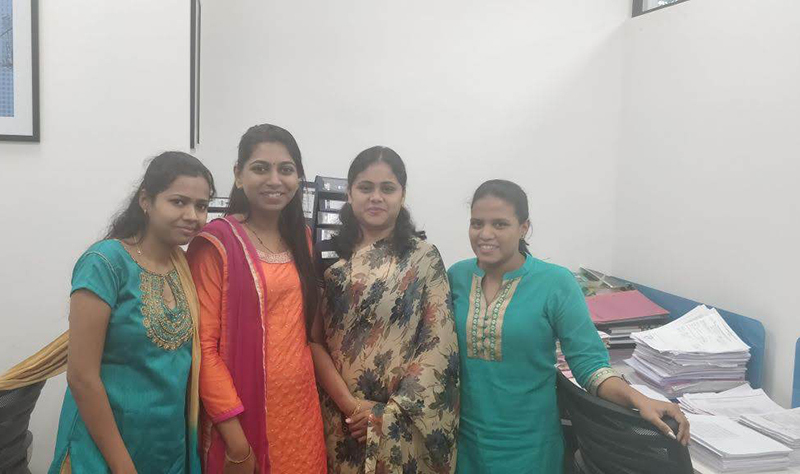 In the month of March, the ladies of the office together celebrated Women’s Day. They chose to wear ethnic outfits for the occasion. All of them looked dynamic together and participated in a general discussion about their work-life balance. Each of the women bagged home a chocolate on this day. On the Independence Day eve, we paid a tribute to our nation. 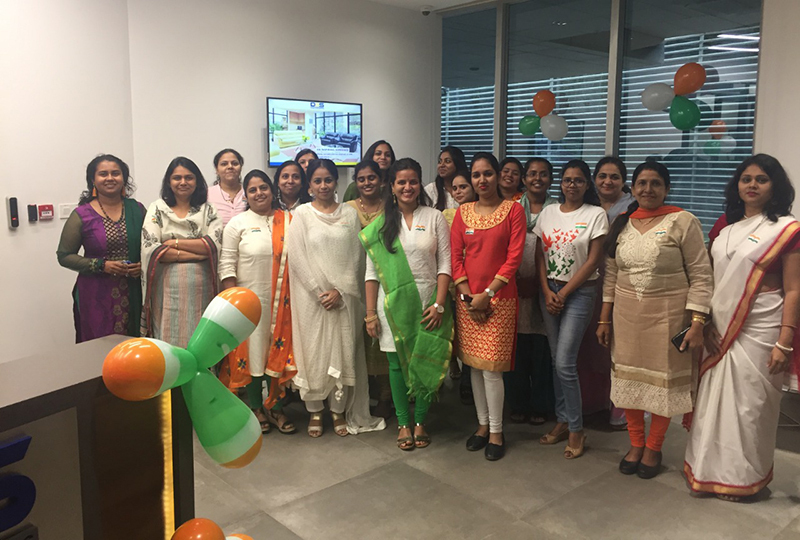 The office was decorated with the white, orange and green balloons. 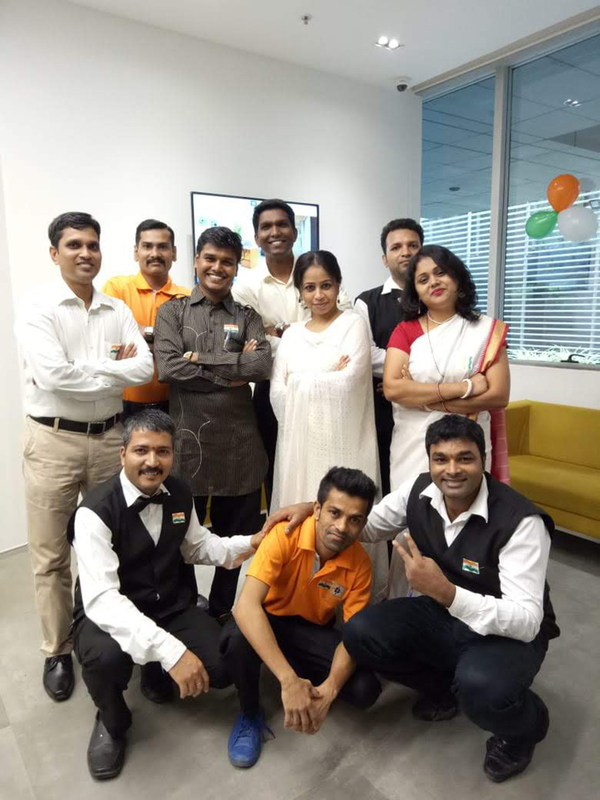 Employees wore a tri-coloured badge to commemorate the occasion. This followed a lengthy photo shoot and chocolate distribution. Later, during the high tea meet, Best Dressed Male and Female goodies were awarded to members from our client’s side. 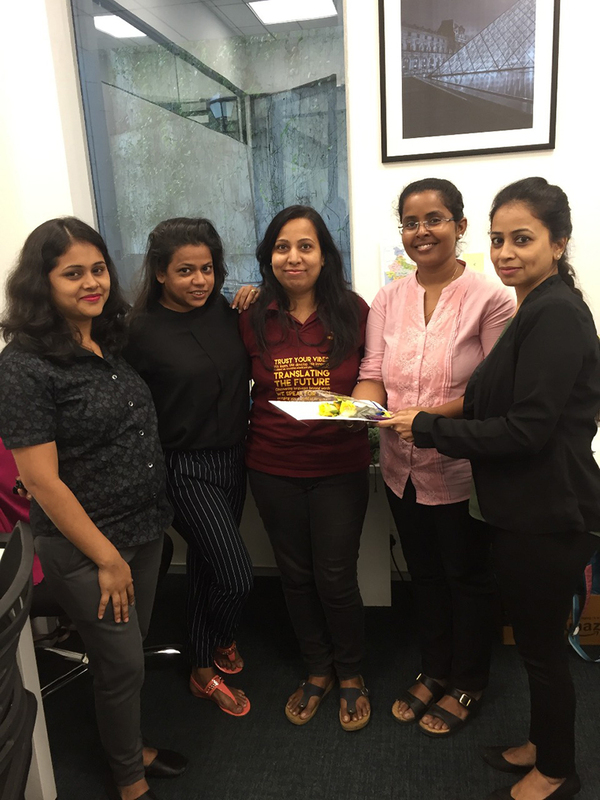 In the first week of October, we celebrated Customer Service Week for four days with a motive to appreciate the contribution made by our honorary clients. 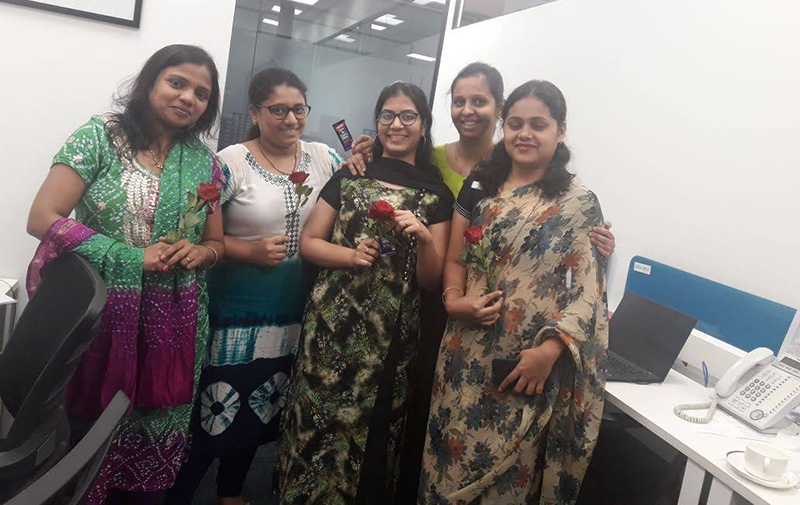 On the first day, our clients were given flower bouquets and DBS Letter. The theme for the second day on 3rd October was ‘Magic in You’ where three of our primary clients shared short speeches on how DBS helps them. They were conferred at a High Tea event later that day with testimonials. The third day of the Customer Service Week was an interactive game session of Housie where winners took home a token of appreciation. On the last day of Customer Service Week, there was an ice cream treat for all participants. 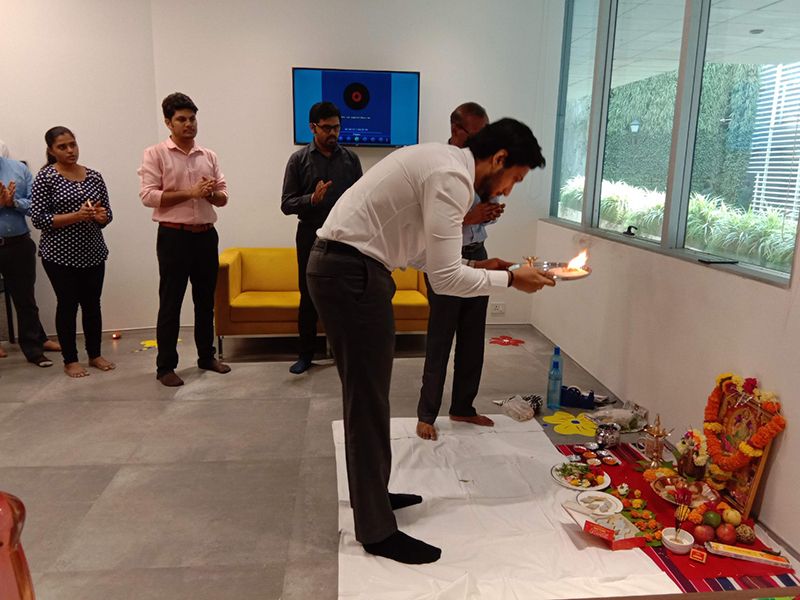 Diwali ticked off in our Andheri office with a puja ceremony conducted by our chief pandit and director Aditya Bhandari. 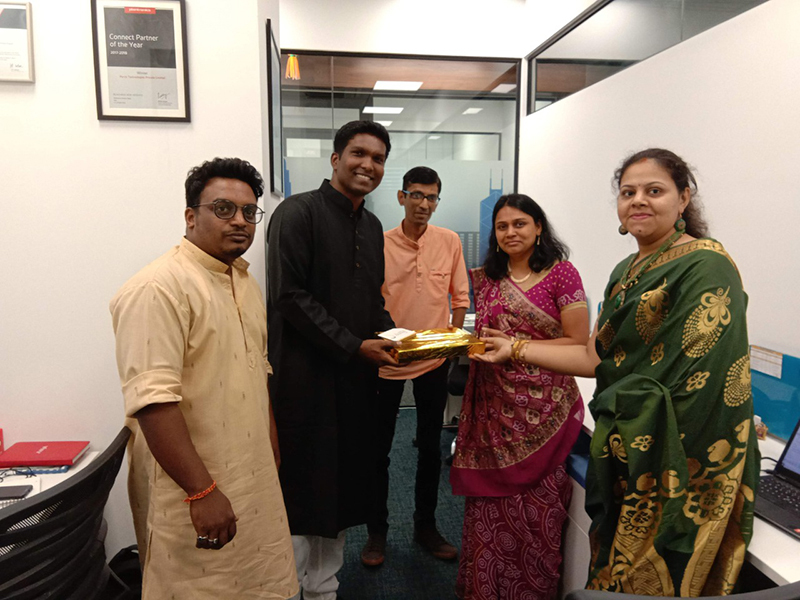 Breakfast boxes along with Diwali sweets were distributed to our employees and clients. To continue the merry occasion, we also played different games in the office. In the coming years, we are all set for more such endeavours. To book your workspace in Andheri, feel free to get in touch with Daley D’cruz, Center Manager, DBS Business Centre, Andheri.